In addition to the Sitar project I posted recently I have several other instruments in various states of completion. So this week, because I’ve been on vacation (work shutdown) I have been using my time to get another project completed. I have always been a big fan of the Bouzouki (the Greek one, not to be confused with the Irish Bouzouki, which I also love!) and so I embarked on building a Tzouras several years ago. 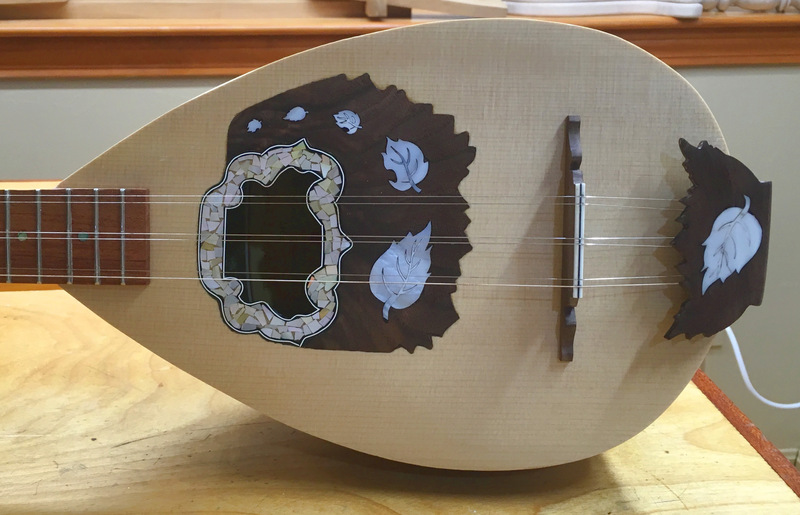 The Tzouras is basically a six-string smaller bouzouki, which is descended from the Saz instruments of Turkey and Persia. The bouzouki is quite a bit larger and louder, and there is also the baglamas, which is yet a smaller version. So, long story short, I started to build one as a project in an MIMF competition a few years ago, but found the “bowl” (like a lute bowl, or Neapolitan mandolin) just too daunting and I didn’t like the way it was coming out. I had collected all of the other materials, built the neck, a rosette, pick guard, hardware, etc. Then my wife and I visited Greece both for our vacation as well as to meet up with our son, studying in Rhodes at the time. 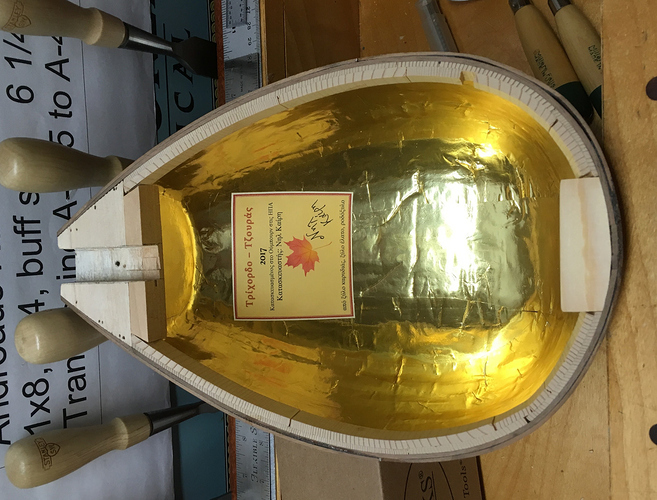 So, I visited a bouzouki maker’s shop in Athens (Georgios Karellas in Psiri – sadly the shop is no longer there as I discovered when I was in Athens this past spring, but I believe Mr Karellas is working perhaps at home?) 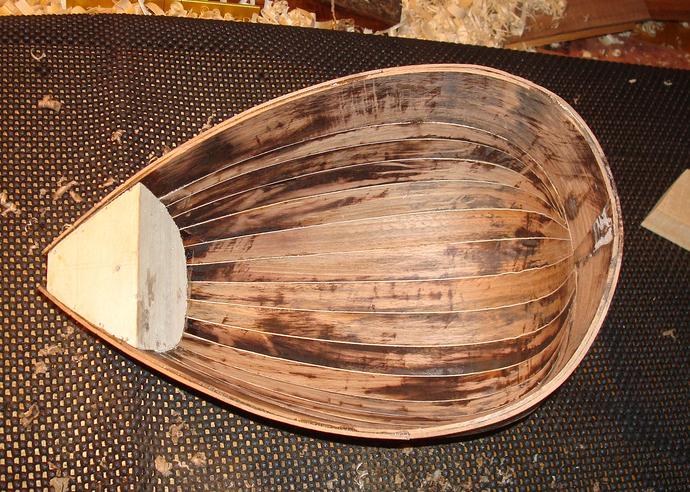 and purchased a tzouras bowl that would need to be scraped, cleaned and finished, but all of the hard stuff was done! and the bowl here has been completely lined with black paper, then covered in gold foil (which helps with a bright tone), and a label. I have also added linings to which I’ll glue the top, a heel block and have cut the slot in the head block to mount the neck. This is the completed ‘bowl’ – just needs lacquer! I don’t have many progress pictures, but this is the process of gluing on the fingerboard (the top has already been installed. The headstock. This instrument has a zero-fret in front of the nut, where the strings rest and the intonation comes from there. 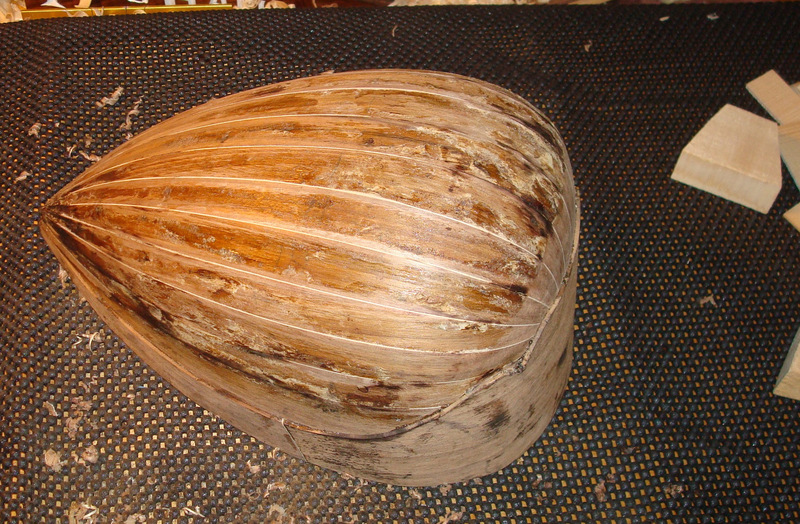 Once the finish is applied it should look a little better. 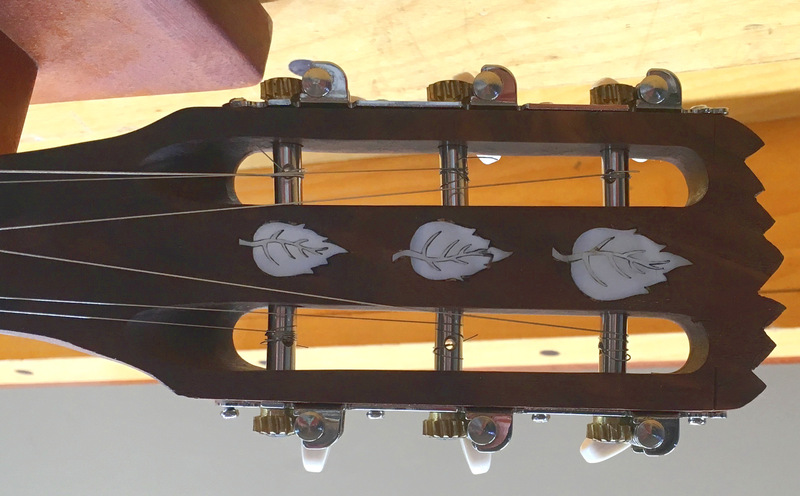 The Rosette, Pickguard, shell inlays and walnut tailpiece cover. 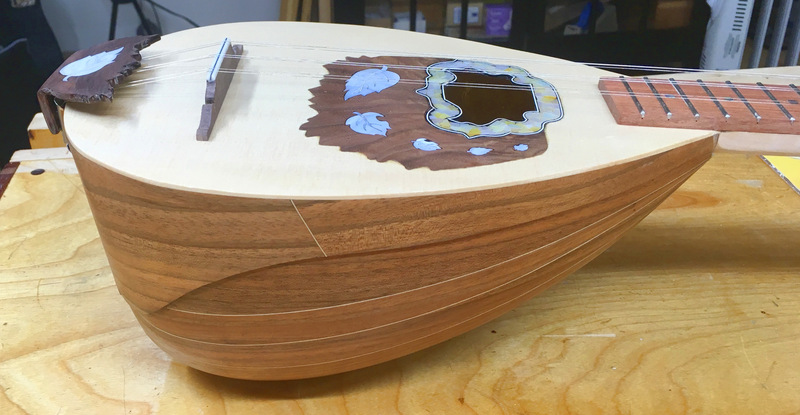 This entry was posted in Lutherie and tagged instrument making. Bookmark the permalink.